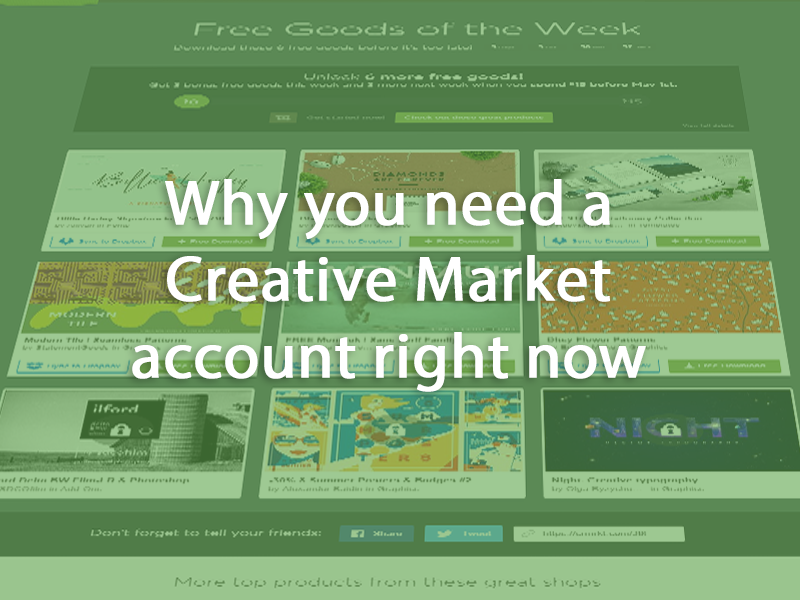 Creative Market is a great marketplace to buy design assets. What seems little know is how great their “Free Goods of the Week” offering is. If you sign up and subscribe to their weekly email you will get a weekly reminder of 6 new free downloads – Premium assets that will be available for free for one week. The great part of their deal is that you don’t have to download and decide there and then. Just click to download, cancel, and the product is added to your purchases. After a relatively short time, you will have dozens of pages of assets in the “Purchases” section at your disposal any time you want. Sometimes one of the free goods is a repeat of an earlier offer, but you should still end up with up to 300 items after a just year. 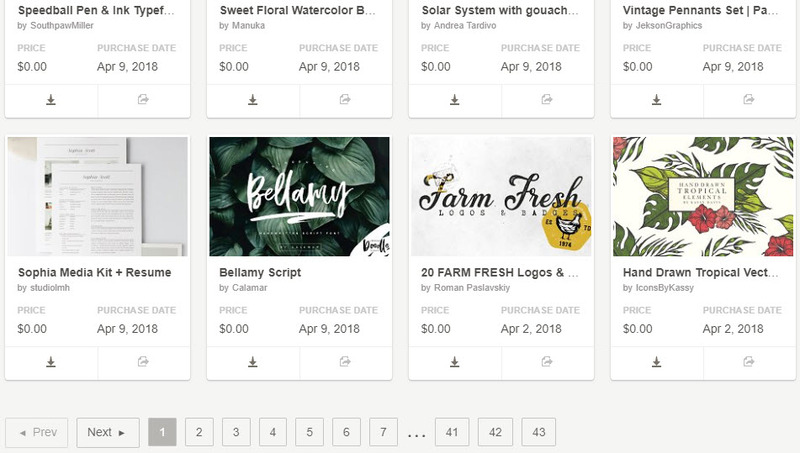 Even if you don’t own a copy of Photoshop or the other software necessary to use these assets well, if you foresee a time in the future when you’re likely to purchase it, it’s great to have a massive store of premium resources built up. So it’s very worthwhile to go to Creative Market now and start building your library.